Shonaquip, a mobility and seating solutions provider, was the unanimous winner of Design Indaba's Innovation Award for 2014. Mozambique-based Mezimbite Forest Centre is a community based programme with an integrated sustainable design, forest management and education/training centre. 2014 Innovation Award winners Shonaquip, along with Mariëtte du Plessis of Adams & Adams. Shonaquip, a social enterprise creating context-sensitive seating devices and services for the severely disabled, was honoured with the Design Indaba Expo 2014 Innovation Award. Shonaquip's in-house design department develosp a range of mobility and postural support devices that are locally produced and hand-assembled at its factory in Cape Town. 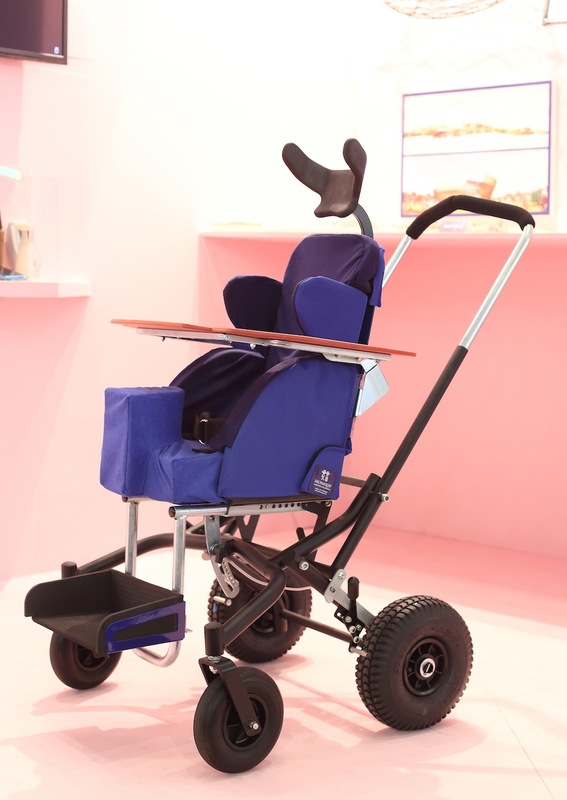 One of their latest wheelchair designs, the Madiab2Go Buggy, was on display at the Africa is Now exhibition on the expo floor. The Madiba2Go Buggy is a rugged and adaptable mobile seating system, especially suited for young wheelchair users living in challenging rural environments. Its lightweight modular seat is detachable from the sturdy base frame and has multiple adjustments to effectively manage and improve the posture of each individual user. This helps to reduce and prevent the development of life-threatening secondary health complications. For this innovative design, Shonaquip was awarded a cash prize of R50 000, courtesy of Adams & Adams. Judges also decided to award a special commendation to Mezimbite Forest Centre for its innovative and holist work that encompasses environmental, social and economic sustainability. Mezimbite Forest Centre, the first and largest indigenous tree nurseries and reforestation programme in Mozambique, was also represented on the Africa is Now exhibition as well as at the African Pavilion at Design Indaba Expo. In recognition of its innovative approach, Mezimbite Forest Centre will receive 6sqm of free stand space at Design Indaba Expo 2015. The judges had a tough decision to make this year, and were very impressed with the entries received. They took time to talk to each exhibitor who entered to find out more information on their submissions. In the end, the judges were unanimous in their decision to award Shonaquip, says Kim Seeliger, Design Indaba Expo Manager.